Since its founding, the University of Kansas has embodied the aspirations and determination of the abolitionists who settled on the curve of the Kaw River in August 1854. Their first goal was to ensure that the new Kansas Territory entered the union as a free state. Another was to establish a university. Map showing the location of KU campuses Today, KU has become a major public research and teaching institution of 28,447 students and 2,600 faculty on five campuses (Lawrence, Kansas City, Overland Park, Wichita, and Salina). Its diverse elements are united by their mission to educate leaders, build healthy communities, and make discoveries that change the world. Duke Nurses are transforming the future of patient care. Guided by our mission, vision and values, we are committed to excellence. We are leaders, innovators, and educators. We are passionate about what we do. Duke University Health System Nursing is committed to quality care of our patients, their family members, and the community through excellence in leadership, practice, innovation, and education. 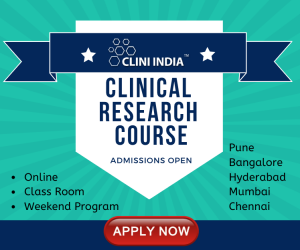 Coordinate DOCR’s portion of the Clinical Research Institutional Approval process. Review study documents to complete required start-up build in OnCore and meet with study teams to review the billing grid prior to the study orders and Beacon builds for Maestro Care. Collaborate with teams internal and external to DOCR to assess study readiness prior to go-live. 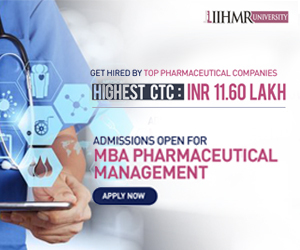 Provide clinical guidance and training to Clinical Research Analysts regarding protocol interpretation and billing grid creation. Clinical Development Services Agency (CDSA) is an extramural unit of Translational Health Science and Technology Institute which is an autonomous institute created by the Department of Biotechnology (DBT), Ministry of Science & Technology, Government of India to strengthen the existing clinical trial / study capacity for affordable health care products in India and raise it to international standards. It is committed to strengthening and expanding the evidence base for healthcare nationally. CDSA has a national reputation for assisting academic investigators, bio-pharma entrepreneurs and innovative SMEs in the delivery of clinical trials and cohort studies throughout their life cycle from set up to closure. Over time, and building on current strengths, the mission of the Clinical Portfolio Section of CDSA is to become a centre of excellence that supports the conduct of Phase III/IV clinical trials and epidemiological studies of national importance. Noven Pharmaceuticals, Inc. is a dynamic specialty pharmaceutical company engaged in the research, development, manufacture, marketing and sale of prescription pharmaceutical products. We are committed to developing and offering pharmaceutical products that meaningfully benefit patients, with a commitment to advancing patient care through transdermal drug delivery Over 325 Noven colleagues are working to advance our business and benefit patients at locations in Miami, FL and Jersey City, NJ. We are a wholly-owned subsidiary of Hisamitsu Pharmaceutical Co., Inc., the world’s largest manufacturer of transdermal patches, and we serve as Hisamitsu's platform for U.S. prescription pharmaceuticals, helping Hisamitsu bring the benefits of patch therapy to the world. The University of Pennsylvania, the largest private employer in Philadelphia, is a world-renowned leader in education, research, and innovation. This historic, Ivy League school consistently ranks among the top 10 universities in the annual U.S. News & World Report survey. Penn has 12 highly-regarded schools that provide opportunities for undergraduate, graduate and continuing education, all influenced by Penn’s distinctive interdisciplinary approach to scholarship and learning. Penn offers a unique working environment within the city of Philadelphia. The University is situated on a beautiful urban campus, with easy access to a range of educational, cultural, and recreational activities. With its historical significance and landmarks, lively cultural offerings, and wide variety of atmospheres, Philadelphia is the perfect place to call home for work and play.